The Eternal Bond between the dog and his owner is so strong that even after the owner passes away the dog can’t seem to get a grip on what is going on and what has happened. 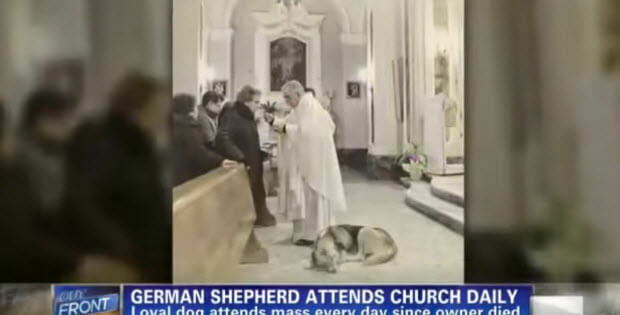 This beautiful German Shepherd dog named Tommy was adopted by a woman named Maria. They were inseparable until one day…when Maria passed away. Amazingly Tommy showed up at the funeral without anyone bringing him there. 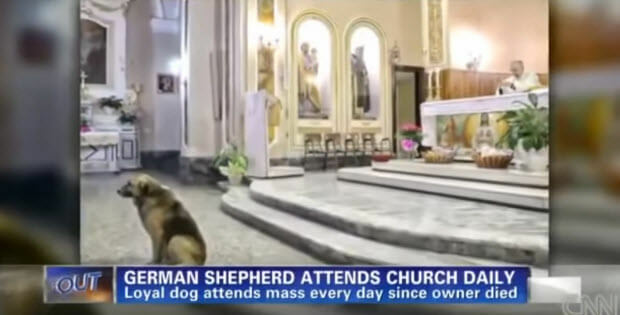 Ever since that day Tommy has been coming every day for the past two months, to the church where the funeral took place. Everyone has accepted him there. He is just laying down or sitting quietly probably waiting for his friend to come back. Watch As These Two Huskies Argue Over Who Owns A Purple Toy! 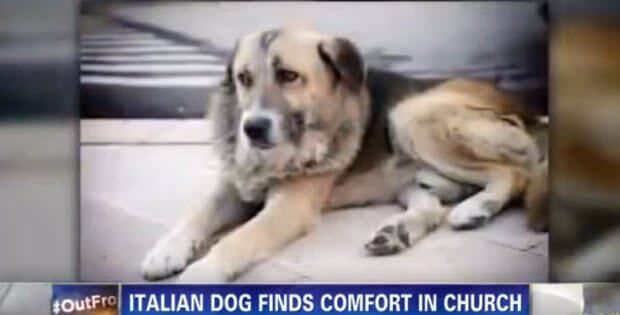 Just When All Hope Was Lost…They Introduce Their ‘Lifeless’ Son To The Dog…And THIS Happens! I am Crying! A VERY LOYAL and loving dog!! I hope he gets a very loving family and home!! Love him so much! !